US girl trapped in Tskhinval during last year’s war between Russian and Georgian forces experienced a different sort of hostility when she attempted to “tell the truth” to western media. At this point, the anchorman who was interviewing Kokoeva announced a commercial break, cutting the 12-year-old girl off in mid-sentence. Amanda Kokoeva’s controversial interview, which provoked a harsh complaint from the Russian authorities, quickly traveled around the world. Kokoeva, who now resides in California, witnessed the beginning of the conflict with her own eyes and was among the first people to give an eyewitness account to western media. But it seems that her version of the events was not really welcomed. “I understood that I was going against everything that the American and the Georgian people were saying: that it was the Russia’s’ fault that the Georgian conflict began. But my aunt told me, ‘Tell them all the truth.’ And I did,” Amanda said. Kokoeva was born in South Ossetia, but moved to the US when she was six years old. Every summer she goes back to visit her relatives. Her grandmother, Evgenia Bestayeva, says she is really proud of Amanda. “She was not afraid to tell the truth about the conflict. She saw everything herself and wanted the world to know the truth,” she said. On the night of August 7, 2008 Amanda, who was only 12 years old at the time, watched in horror as the war broke out. She spent the night in her uncle's basement. The following morning, they fled to North Ossetia and eventually to Moscow. However, not everyone was so lucky: many South Ossetians were killed by Georgian troops as they were trying to make their escape. 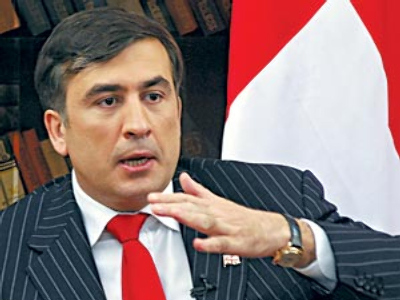 As Georgian tanks moved further into South Ossetia and the shelling continued, western media showed President Mikhail Saakashvili saying Russia had launched an attack on his country. Some stations even showed footage of alleged Russian shelling on Georgia when in fact it was the South Ossetian capital Tskhinval in flames caused by Georgian aggression. Russia says it has the proof that Tbilisi was the aggressor. According to Moscow, the supply of arms to Georgia is continuing and some believe the Caucasian country may be preparing for new aggression. 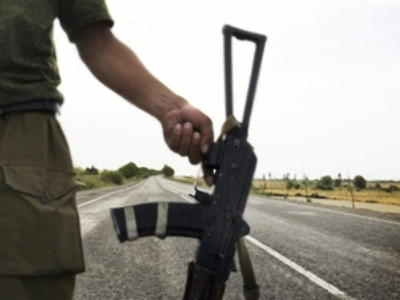 Special events commemorating those who died during the assault have been held across South Ossetia. Hundreds of people have gathered in the main square of Tskhinval to attend a commemoration ceremony. While the event might seem like a concert to the casual observer, the mood is somber. Other ceremonies have included a service at Tskhinval’s main cathedral and private commemoration events held by dozens of families. White balloons were released into the night sky of Tskhinval in memory of those who died during the 5-Day War.